Pressure grouting can best be described as the placement of small volumes of cementitious and resin based grouts in difficult situations. 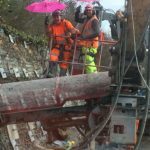 Condor Projects carries out a significant amount of pressure grouting, this is the injection of cement based grouts into or around masonry structures to enhance structural integrity. Pressure grouting will strengthen cavity or rubble wall construction, stabilise loose fill and prevent movement. Pressure grouting can also be described as the use of small to moderate volumes of foamed concrete or grout to fill redundant drains, sewers and manholes or to fill voids beneath redundant bridges or subways. 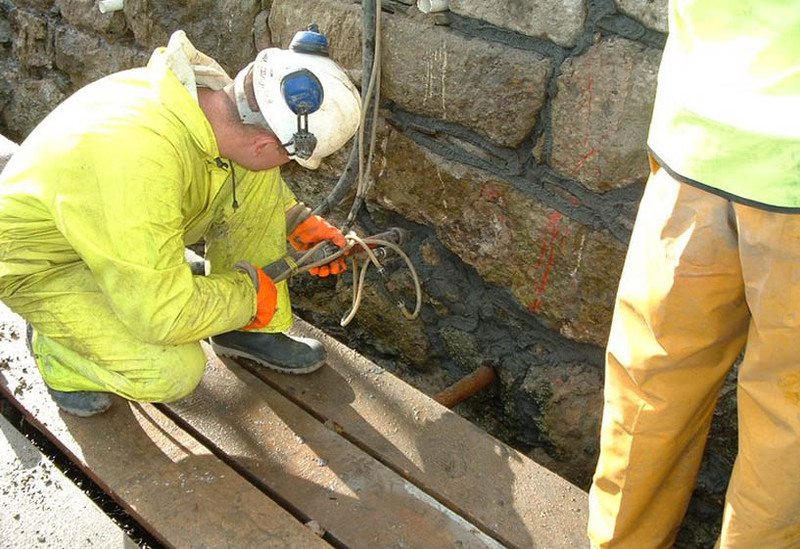 Condor carries out pressure grouting to remedy the effects of washout and other disturbance caused by ground water in masonry bridges, culverts, tunnels, shafts, basements and man holes. Grout materials used are conventionally pre-bagged, cement or cement:pfa mixes, mixed mechanically and delivered to the point of application using bespoke grout pumps. There are many different types of grout available depending upon the application. Condor has been instrumental in designing and manufacturing project specific grouts for our clients. Therefore special formulations are now available to resist washout when grouting voids with high water flows, or to suit heritage requirements, where a lime based material may be specified.